Only have one or two alpacas to show? Why not let us take the stress out of if for you - we will show your alpacas for you. You just enter and clean your animal and have it ready for collection, provide all necessary documentation and we will do the rest. You will be required to provide a declaration of health from your vet prior to the animal(s) being collected for this service. 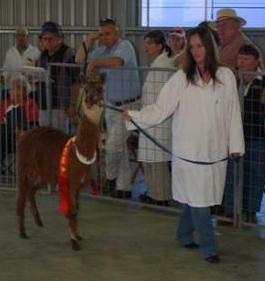 We can also arrange transport, agistment and showing of your alpacas interstate.